Timed armor up and a surprise photobomb! I use traditional TD clips that I make. I just put a tiny piece of Velcro on the inside of the bent tab to prevent it from falling off etc. I was at this one troop where these kids kept knocking my TD off so I just modified it. Plus them it always stays centered and I don’t need anyone to help align it. I have full latex hand guards with rubber gloves but I hate wearing them. I did this for a promo video to support the BC Lung Associations Stair Climb for Clean air fundraiser. This is an event where participants see how long it takes to get up a 48 storey building in Vancouver. Funds are raised to help those with lung conditions, and as a tradition - firefighting teams from all around come to compete in full gear! Yves Ho TD 9815 has done this for years IN COSTUME to compete with the firefighters. And yes, he is fast in armor! I did this event last year without armor and it was tiring! Anyways, Yves challenged our garrison to see how fast we could gear up. Here's my submission, complete with distractions. Mix up a solution of white pva glue and water 70/30 glue to water. Brush that on the armor first. Then weather with sponged acrylics. If you want to remove the weathering, just wash the armor in warm water. It will dissolve the White glue and the rest comes off in layers. Hi everyone! Very pleased to share a new trailer for a fan film I worked on as a costume designer! 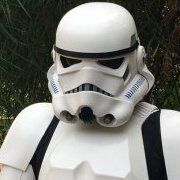 Bucketheads is a Stormtrooper centric short film about the sc-ifi soldiers we all have a passion for. Coming soon to film festivals and online! Shipping from the USA to Canada can be dodgy. I've stated it many times on here before. People have had shipments stopped or seized at the border by customs. Keep in mind that it's not just what's written on the shipping label, the packages can be X rayed or opened by customs as it's the law. We've had a couple people visited by the local police after they were notified by customs. Canadians have had better luck with "model kits" shipped in pieces like Doopydoos etc rather than complete blasters painted black. We've had people get blasters shipped to the border and try to bring them over by car but as a garrison we can no longer condone this as people can get into trouble. Nice to see you found your way here. pandatrooper replied to Jaltrooper's topic in Getting Started - Read this First! At 6 foot 2, if you're slimmer you should go do Troopermaster. If you're a little bigger sized go for AM2.0 or RT-mod. Make sure the mic is actually facing your mouth. If you pull the foam back, you'll see a white line on the mic itself. Make sure that's facing your mouth.<br><br> You should also try placing it to the side and not directly in front of your mouth. It's likely picking up your breathing etc causing it to click. Could be a stain from the undersuit fabric (sweat?) or mold buildup from storage being stored in an airtight bin. Or just buy longer calves or thighs. 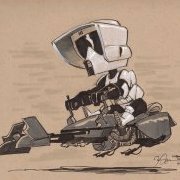 Trooper master and RT-mod sell longer versions. Multiple people in our garrison have ordered various combinations. Most requested 2 right biceps since the left one is so small. You can order two right biceps from ATA since the right is much bigger than the left.